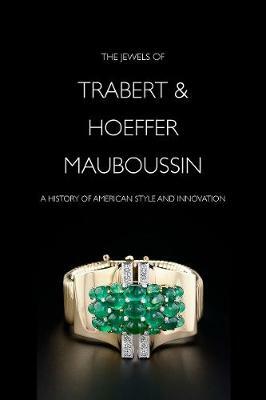 From the mid-1930s through the 1940s, the collaboration of the American jewelry firm Trabert & Hoeffer with the Parisian house Mauboussin produced some of the most extraordinary high-style jewels of its time. Hollywood stars such as Claudette Colbert and Marlene Dietrich appeared on-screen and off flashing the firm's historic gems mounted in diamond-studded platinum settings. Even during the Depression and the Second World War, Trabert & Hoeffer-Mauboussin prospered and expanded by marketing more affordable ornaments. Its best known invention was the Reflection line of semi-custom jewelry - `Your personality in a jewel'. Crafted from interchangeable parts, it made a bold new moderne look available to a wider range of customers by allowing them to mix and match pre-constructed parts with their own choice of gemstones. Drawing on historical sources that include part of the firm's design archives, now at the Museum of Fine Arts, Boston, this book tells a story of design and marketing innovations, shrewd business decisions, and adaptability to changing times that produced a legacy of dazzling jewels.